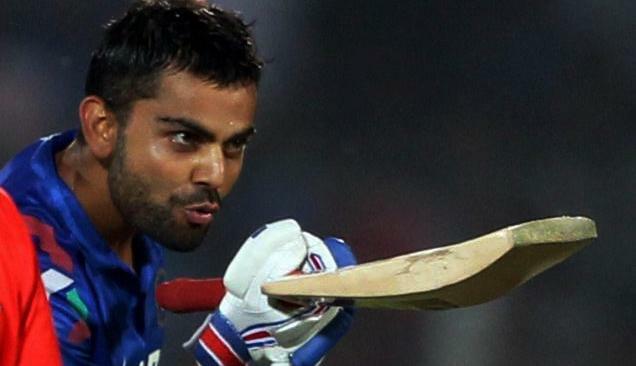 At the eleventh hour flamboyant Indian batsman Virat Kohli has been asked to lead the Indian cricket team at the Asia Cup- as Mahendra Singh Dhoni was ruled out of the series due to side strain he suffered on the tour of New Zealand. Kohli admitted that it will be a big challenge to not have Dhoni around. After back to back series losses in South Africa and New Zealand, it is a big task for Kohli of not just to shine with the bat but also with his tactics. Kohli’s winning percentage as Indian captain has been impressive, having won seven games out of eight in which he lead. Though five of them came against minnows Zimbabwe, but this is a different battleground with all the Asian giants familiar with the conditions ready to pounce on the opportunity to be crowned as Asian champions. But captaincy is not something new for Virat Kohli, who erupted into cricketing arena because of his leadership qualities when he led the Indian under-19 team to the World Cup glory in Australia in 2008. He also leads the Indian Premier League (IPL) franchise Royal Challengers Bangalore. He also been the deputy of Dhoni in Indian team since a long time. Team India will undergo a new transition in the series from being led by Mr. COOL earlier to now led by Mr. AGGRESSIVE, whose had a few verbal on-field incidences in IPL, one involving his Indian team mate Gautam Gambhir. Team India are playing their first game against Bangladesh today. Both Sri Lanka and Pakistan are on better confidence as both of them have won their last concluding limited overs series. And with Indian team low on confidence. New entrants Afghanistan is the only injury free team in the tournament which also might spring a surprise in this tournament and with India without their regular thinking maestro, the Afghan boys will look to inflict more wounds on the wounded Indian side. Much of the talk about this tournament surrounds the India and the defending champions Pakistan match on March 2, but Kohli says the team is here to win the tournament and focusing on each match. “We haven’t come here to play just one game and go back home. Playing Pakistan is always a very hyped game for us. We take every game the same way and aim is to win the tournament,” he quoted. However, this time it might not be easy for Kohli who already shoulders a big responsibility of the Indian batting line-up with his magical scores in every innings. Even during the last two tours which were miserable for India, Kohli,as usual was the brightest prospect. With this new responsibility being put on him, the pressure of multi-tasking can be too much and whether he succumbs to this pressure or he successfully takes this challenge and stamps his leadership on the young Indian team which will be playing under their most probable future captain candidate, that will be known in during the series.